Cyclocrossrider readers have the chance to purchase reduced-rate tickets to The Cycle Show! The show at the NEC, Birmingham, England runs from September 26-28th and is the UK's leading cycling show. 1. All you need to do is look at the three pictures below and register to receive our newsletters for FREE and you could be one of our lucky winners. Please register for our newsletter BEFORE Friday September 19th. 2. The questions and clues (!) will be in a newsletter sent to your inbox on Friday morning (September 19th) and you will have 24 hours to answer the three questions and send your answers via email back to us at Cyclocrossrider. So, get prepared by thinking what our newsletter will ask you about these three photos by Kristof Ramon, our chief photographer? IMPORTANT: If you are not already receiving our Newsletters, make your registration here to receive the questions in the next issue on Friday September 19th. Kristof Ramon is Cyclocrossrider's award-winning chief photographer who’s well connected on the race scene in the heartland of professional cyclocross. What happens after I've entered? Once you’ve replied to our Newsletter questions we will keep your entry safe with all the others and on Saturday September 20th we will draw ten winners from among the correct entries. An email will be sent to the email address given with each winning entry, requesting the postal address to which a pair of tickets to the Cycle Show can be sent by Royal Mail first class post. We will publish the names of our winning entrants in a Newsletter after the competition winners are drawn. 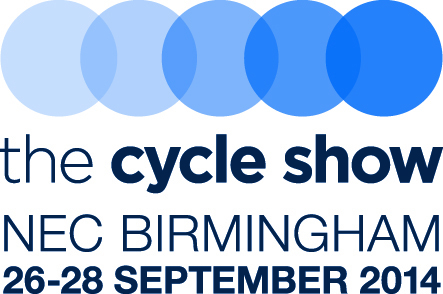 The Cycle Show is on September 26-28th at the NEC in Birmingham, England, so winners will have time to sort out their own travel arrangements separately. Since July we've been sending out regular newsletters to those who have subscribed free via the website. Early subscribers received advanced articles before we launched properly last week. We don't bombard you with emails, but you will most likely receive one previewing the weekend's racing and one after the weekend containing the highlights. Cyclocrossrider.com readers are offered a special ticket price of just £11.50 per adult ticket in advance. Tickets for children aged 14 and under are just £1, plus children aged 5 and under go free. Just click on this banner to claim your Cyclocrossrider discount! (Enter our discount code ‘CCR’ when prompted. Offer closes on Sunday September 28th). Note: Tickets are normally £13 in advance and £16 on the door. A £1 booking fee per transaction will be charged for all advance bookings. About the competition: The editor’s decision on answers and winning entries is final and no correspondence will be entered into. A random draw method will be used to pick winners from among the correct entries who have registered for the Newsletter. Repeat or multiple entries will be eliminated prior to the draw. Bots are banned! Only enter the competition if you think you want to win the prize for a pair of entry tickets Cycle Show. Travel to the show is not included in the prize. Entrants should be 18 years or over.